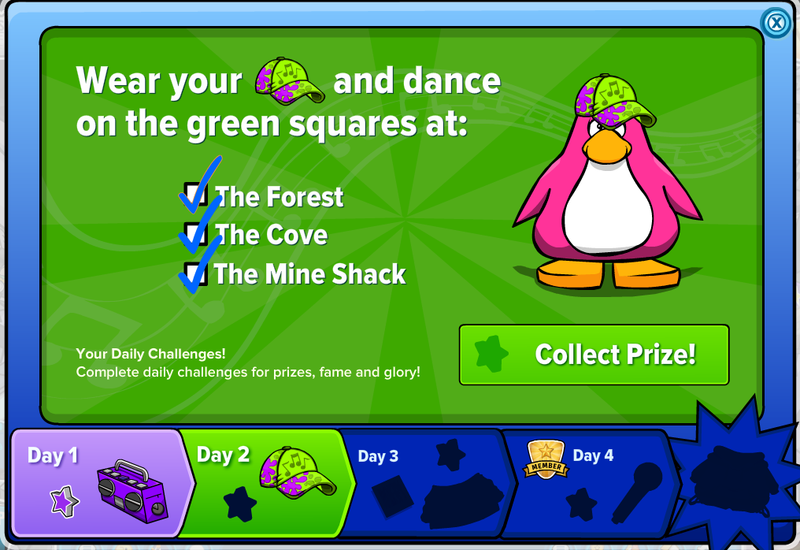 Club Penguin Cheats by Mimo777 Club Penguin Cheats by Mimo777: Club Penguin Daily Challenge: Day 2! 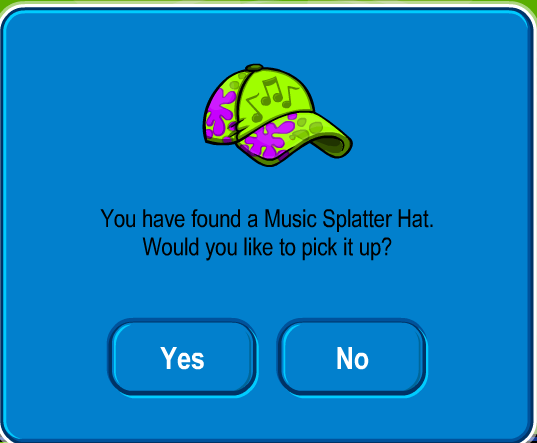 Club Penguin daily challenge day 2! 1. 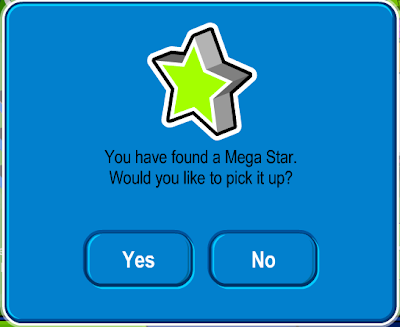 Click "Collect Day 2 Free Item!" 2. Put on JUST the hat. 3. Now go to The Forest, Cove and Mine. 4. Dance on the green squares. Epic beans! Day 2 is done! So far, what does everybody think of the party!? And don't forget to check back for more daily challenges! There's only 4 days of challendes. Is the party only going to be for 4 days? We had that superhero party for like 2 weeks. For some reason I already have day 3. Huh. 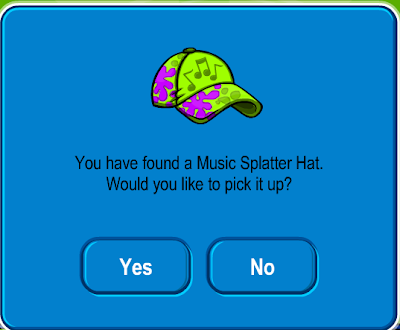 i have now got the last prize, a golden microphone and a hoodie that gives a special dance and i got a golden star!! but is only 21st july i should be on day 3! This party is really great, even though I still hate the fact that Rocky and CeCe are penguins. Of course there isn't only four days left! If there is, this has to be the shortest Music Jam Ever! They are keeping it up longer, for those penguins who came on, lets say two days after the quest started. Then we all have a chance to get the goodies! Dude its unfair that the 4th day of the music challenge is only for members.What is the use of the 1st,2nd and 3rd day for all penguins.Only members can get the shirt after completing all days.